New England faces the Vikings on Sunday, then travels to Miami and Pittsburgh in a run that will likely determine its playoff seed. FOXBOROUGH, Mass. — Thanks to the Steelers’ losing Sunday to the Broncos out in Denver, the Patriots have moved back into the AFC’s second seed with five games to play. That means they’ve regained a first-round bye for the time being, but the next three games should determine where they ultimately land, starting with Sunday’s game hosting the Vikings. The Patriots then visit the Dolphins and Steelers, rounding out the key three before closing at home against the Bills and Jets. But it’s the Vikings first, and they’re coming off an impressive win Sunday night against the Packers, which pretty much buried their NFC North rivals’ postseason hopes. The Vikings (6-4-1) come in with the seventh-best passing offense, with quarterback Kirk Cousins and his two top weapons, Adam Thielen (93 catches, 1,138 yards, eight touchdowns) and Stefon Diggs (79 catches, 790 yards, six TDs). The Patriots activated running back Rex Burkhead from injured reserve, and he’s eligible to play Sunday. To make room, the team released offensive lineman Matt Tobin. Burkhead provides another versatile weapon in the backfield, joining Sony Michel, James White and occasionally Cordarrelle Patterson, finally giving the Patriots a little depth there. The Patriots had a season-high 11 penalties assessed for 105 yards against the Jets during last Sunday’s 27-13 win. 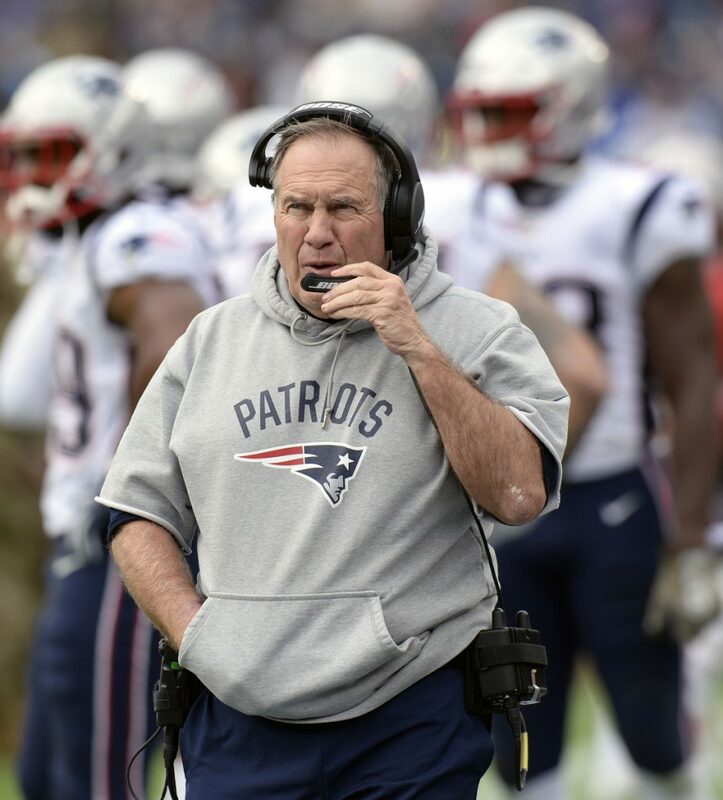 Did Bill Belichick have a problem with how the game was called by Shawn Hochuli’s crew? Not at all. During a conference call Monday, the Patriots coach placed the burden for the flags on his team. Even though their penalties were up, the Patriots have gone four straight games without a turnover.